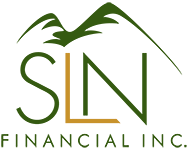 December 23,2015 - 4 Life Insurance Tips for Seniors | SLN Financial, Inc. Term insurance offers coverage for a set number of years and is usually much less expensive than permanent life insurance. While term policies don’t accrue any cash value, they can offer you higher coverage limits and more flexibility at a reasonable cost, even as a senior. While certain life events – such as emptying the nest or paying off a mortgage – should trigger an insurance review, canceling an old life insurance policy may be a bad idea. If you have accrued value in a whole life policy, you may be able to convert it into a term policy, or simply reduce your coverage to suit your new circumstances. Always consult a qualified insurance expert who understands your overall financial situation before making any changes to your insurance coverage. If you’re worried about qualifying for insurance due to your medical history, you may want to talk to an insurance expert about a guaranteed acceptance policy. These policies are designed to offer high-risk policyholders protection from accidental death. Unfortunately, they typically come with higher premiums as well as limited benefits for an initial period of years (to avoid “deathbed” coverage). While these policies are expensive, they may be a worthwhile option for seniors with insurability issues. If you’re primarily concerned about covering a funeral or paying off debts after your death, a small final expense policy may be enough for your needs. Though details vary between policies, these types of policies are frequently available to seniors well into their 70s or 80s.